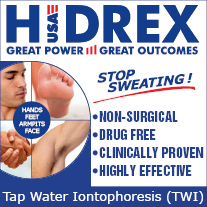 Its been a long time I’m using iontophoresis to treat my excessive sweating and it works very well! However what colour of water you get after finishing your treatment ? Usually its yellow but today turned black. Scary. Any ideas?